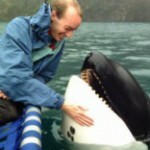 The Free Morgan Foundation was founded on the 2nd of September 2011 in order to help the wild-born, female orca Morgan. Our Board of Directors have a wealth of experience from a wide range of professions. They are listed here, alphabetically. Co-founder of the original Orca Coalition and Founder of DolphinMotion, Hester has been involved with Morgan’s case since the beginning. She is an animal welfare advocate and promotes education and awareness among children and adults in the Netherlands with regards to captive cetaceans. Hester also works tirelessly to help badgers in the Netherlands. 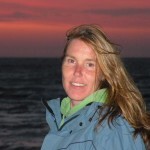 Co-founder of the Free Morgan Foundation, Researcher and Trustee of the Orca Research Trust. 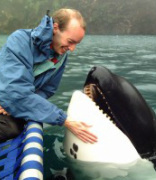 Terry assisted with the Keiko project and is passionate about orca. He has also helped to expose wrong doings at a dolphinarium in Europe, which resulted in a law being passed in Switzerland, banning the keeping of cetaceans in captivity. He has observed Morgan in captivity at Dolfinarium Harderwijk, in 2011 and co-authored the report about her status, with Dr Visser. 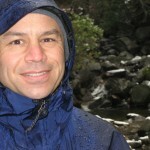 Attorney, environmental blogger and ocean advocate living on California’s Central Coast. Matthew first learned of Morgan at the BLUE Ocean Film Festival in 2012 and since then has been telling her story in the Huffington Post and other avenues. Matthew is passionate about righting the wrongs of Morgan’s situation and revealing the layers of injustice that put her in Loro Parque. Matthew co-authored the Free Morgan Foundation white paper on ‘whale laundering’, with Dr. Visser. Co-founder Free Morgan Foundation, Founder and Principal Researcher Orca Research Trust, Director Punta Norte Orca Research, Papua New Guinea Orca Research and Founder Antarctic Killer Whale Identification Catalogue. Co-founder Whale Rescue, founding member of the Dolphinaria-Free Europe coalition. Ingrid studied the New Zealand orca for her PhD and has become an advocate against keeping cetaceans in captivity. Shortly after Morgan was captured in June 2010, Ingrid became involved in exposing the extremely poor conditions at Dolfinarium Harderwijk and later at Loro Parque. She has authored, or co-authored four extensive reports on Morgan’s plight.